"(Atal Bihari) Vajpayee-ji, Advani-ji were the pillars of the BJP. Advani-ji is a senior man. And now how he has been left out. This is of course an insult to Advani-ji," Mamata Banerjee told reporters at the state secretariat. 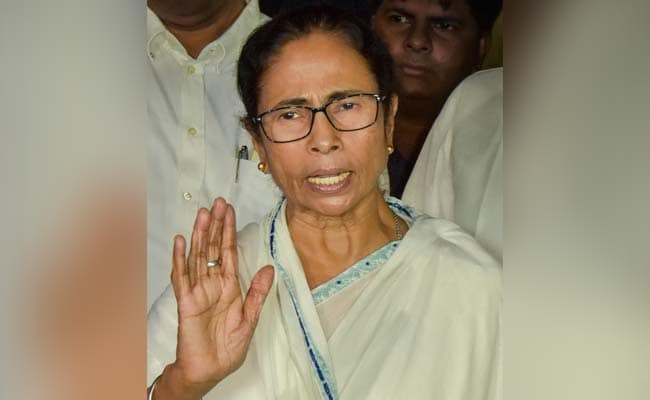 West Bengal Chief Minister Mamata Banerjee on Tuesday described LK Advani as one of the pillars of the BJP and said leaving him out of its candidates list is an insult to the veteran leader. Ms Banerjee, also the Trinamool Congress supremo, said political parties should not ignore their senior leaders. "(Atal Bihari) Vajpayee-ji, Advani-ji were the pillars of the BJP. Advani-ji is a senior man. And now how he has been left out. This is of course an insult to Advani-ji," she told reporters at the state secretariat. The BJP fielded party president Amit Shah from Gandhinagar Lok Sabha seat in Gujarat and dropped Advani, now 91, who had won six times from that seat in the past. "I'm feeling sad for him (Advani). This may be his last chance. Advani-ji was actually their mentor. But when there is no need, they (senior leaders) are forgotten. But old is always gold. This is my personal feeling," she said. The chief minister said she might talk to Mr Advani to convey her feelings. Ms Banerjee said she is also feeling sad as the widow of Union minister Ananth Kumar was left out by the BJP from contesting the prestigious Bengaluru South Lok Sabha seat. "I worked under Advani-ji and Vajpayee-ji when I was in the NDA. I worked with Anant Kumar-ji when I was a central minister. This is my personal feeling," she said. "We have to give the youth, women and (people from) all the castes and communities (chances). But senior leaders cannot be ignored," Ms Banerjee said. She mentioned that elderly leaders such as former Prime Minister and Janata Dal (Secular) veteran HD Deve Gowda and National Conference president Farooq Abdullah are contesting the elections. About the release of the prime minister's biopic "PM Narendra Modi" just before the polls, Ms Banerjee said she has nothing to say if someone wants to make a film "in his own favour", but if it is released before the elections, the motive is very clear. The chief minister refused to take questions on reports that Trinamool MP Abhishek Banerjee's wife was found carrying two kg gold by customs authorities at the city airport recently. "I think I am not concerned with it," she said.